Providing a narrow range of measurement for the best possible accuracy, this version is ideal for monitoring water levels and temperatures in wells, streams, lakes and wetlands. Like other HOBO Water Level Data Loggers, the 13-foot version offers exceptional value and ease-of-use, with no cumbersome vent tubes or desiccants to maintain. 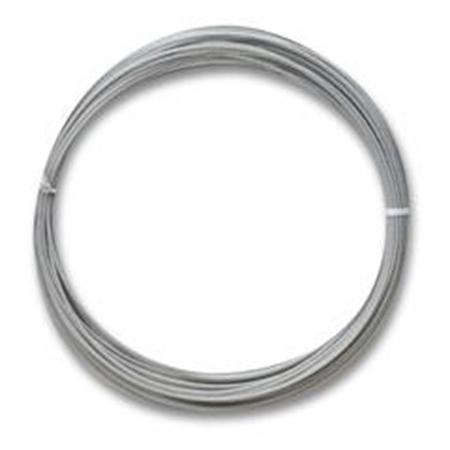 The HOBO Water Level Titanium is recommended for saltwater deployment for recording water levels and temperatures in brackish wetlands and tidal areas. 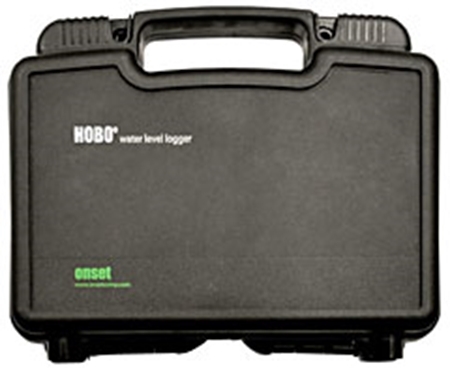 View how the HOBO Water Level Logger compares to the Competition. HOBOware Pro software provides easy conversion to accurate water level reading, fully compensated for barometric pressure (see demo) temperature, and water density. Multiple-rate sampling (see demo) allows faster sampling at critical times such as when pumping starts or stops. IMPORTANT: This HOBO data logger requires HOBOware software and a communications device. See compatible items below. Learn the features of HOBO Water Level Data Loggers, ranging in measurement from 13 to 250 feet for both freshwater and saltwater. These loggers measure water pressure and temperature and do not require vent tubes, making deployment and maintenance easy. The 13-foot logger provides .01 foot accuracy. 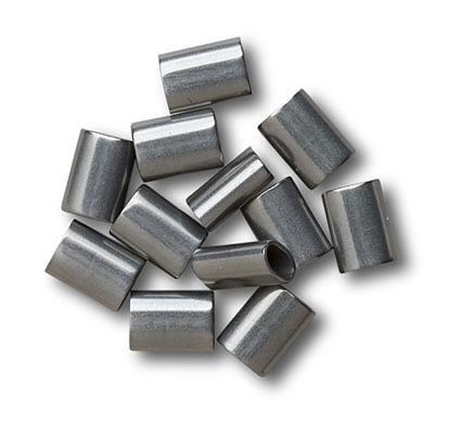 All loggers in this series come in two housing options: polypropylene for high accuracy and economy, and stainless steel for smaller size and durability. These loggers come with a five-year battery life. What's more, optical communications make it possible for researchers to offload data even when the logger is wet. Shock/drop: Logger is sensitive to shocks. Handle with care and avoid any impact. Always use proper packaging when shipping the logger. Logging interval: Fixed-rate or multiple logging intervals, with up to 8 user-defined logging intervals and durations; logging intervals from 1 second to 18 hours. Refer to HOBOware software manual. Battery indication: Battery voltage can be viewed in status screen and optionally logged in datafile. Low battery indication in datafile. The CE Marking identifies this product as complying with the relevant directives in the European Union (EU). Onset's flagship setup, graphing and analysis software for Windows and Mac. The new Universal Optic USB Base Station and a series of couplers are used to offload data from any HOBO® data logger with an Optic USB interface. The Optic USB Base Station connects to your computer via USB, while connecting to the logger via an appropriate coupler. 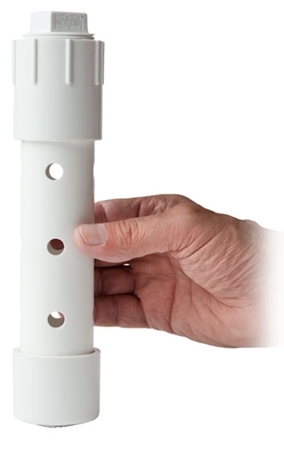 The U2X Housing is a protective enclosure for mounting Onset's HOBO® Water Loggers. The U2X housing is designed to allow a data logger to be mounted in harsh environments while not restricting the flow of media around the device. The HOBO Waterproof Shuttle provides convenient readout and relaunching of underwater and outdoor HOBO loggers with an Optic USB interface, and is waterproof to 20m. 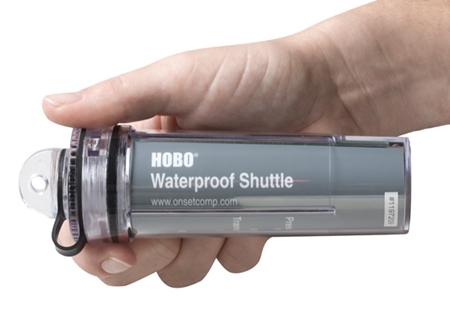 The HOBO Waterproof Shuttle can also be used as a base station. 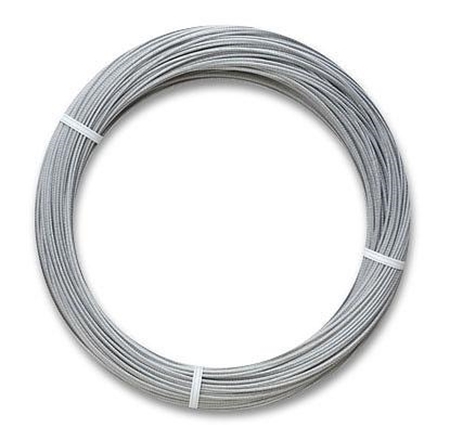 A 50-foot length of 1/16-inch diameter teflon-coated stainless steel cable, coiled and bound. This locking well cap provides convenient mounting for HOBO loggers in wells. Used with the HOBO MX2001 it supports the logger at the top of the well for optimal wireless transmission range.